The U.S. won’t know its opponent until later this afternoon, but they got on the ice in Sochi and got back to work in preparation. When the tournament gets to this stage, it doesn’t take much for the unexpected to happen. Team USA will meet the winner of today’s qualifier between the Czech Republic and Slovakia on Wednesday at noon ET on USA Network. Coming off that fantastic preliminary-round performance to earn the No. 2 seed, the U.S. has raised the level of expectations for what this team can accomplish. Team USA is now a legitimate gold-medal threat and anything less would be considered a disappointment. The fact that their opponent will be coming off an elimination game the night before, the U.S. has to take advantage of the rest they’ve gotten and get back to pushing the pace of games. When the U.S. is allowed to skate, it’s hard for teams to keep up. After the jump, a look at some of Team USA’s lineup options for the quarterfinal. Jonathan Quick will get the start in the quarterfinal for Team USA, which is far from a surprise. Despite Ryan Miller’s strong play against the Slovenians, this is Quick’s net now. After two strong performances in the prelims, Quick has proven his worth as the American starter. As good as Miller was in 2010, Quick has been in those same pressure situations and he’s raised his game when he’s had to. The pressure ratchets up slightly with each passing game now. The U.S. also jumbled some lines in practice as well Tuesday. Zach Parise, who spent the latter half of the Slovenia game on a line with Ryan Kesler and Patrick Kane stayed there during practice Tuesday. Team USA’s captain has been very ineffective offensively and the fact that he played with two grinder types in David Backes and Ryan Callahan previously may have had something to do with that. That said, Parise-Kesler-Kane didn’t generate a ton either. Getting Parise going is important for the elimination portion of this tournament. The fact they’ve had success without one of their best players at the top of his game is rather impressive. Getting into a rhythm with Kesler and Kane could help get that spark for Parise. With Parise on that line, and I’d expect them to stay together at least for the quarterfinals, look for Dustin Brown to line up with Backes and Callahan. That’s Team USA’s grind line and they’re a tough group to play against. Being physical is still important on the big ice. Making the other team uncomfortable goes a long way. Taking away their time and space and getting a body on them can wear a team down over the course of a game. Any way you can find to make the ice smaller is good. The Backes line can do that. The Joe Pavelski, Phil Kessel, James van Riemsdyk line is definitely staying together. They’ve been fantastic so far combining for 15 points in the tournament, seven of which are from Kessel. They’ve been the best line at the Olympics so far by a fairly wide margin. What will be interesting is how the forwards on the fourth line are determined. Only Paul Stastny and T.J. Oshie haven’t been moved off their line. Blake Wheeler, Max Pacioretty and Derek Stepan have done some alternating in at times. Pacioretty sat out the last game to get Stepan into the lineup. If the U.S. has concerns about the health of their four centers, it makes sense to make Stepan the 13th forward as he can slot into the lineup and take some draws. If they’re all doing alright, though, Pacioretty and Wheeler alternating on that fourth line. My bet is Pacioretty gets the regular shift and Wheeler is there as the 13th to spot in if offense needs a spark. We’ll see how that shakes out. For the defense, the fact that they didn’t insert Justin Faulk into the lineup against Slovenia suggests the defense won’t be changing. They’ve been outstanding so far in this tournament. They can move seamlessly between pairings and I think we’ll see more of Ryan Suter-Paul Martin, Ryan McDonagh-Kevin Shattenkirk, Cam Fowler-John Carlson and Brooks Orpik. When it’s time to play more defensive hockey, expect Suter and McDonagh to get back together while Martin and Orpik will play more. That versatility make this D corps that much better and the fact they’ve played in different combos enough shows it can work. The D pairings in practice were similar to the Russia game, which is those shutdown pairing for Suter-McDonagh, Orpik-Martin, Fowler-Shattenkirk, Carlson. 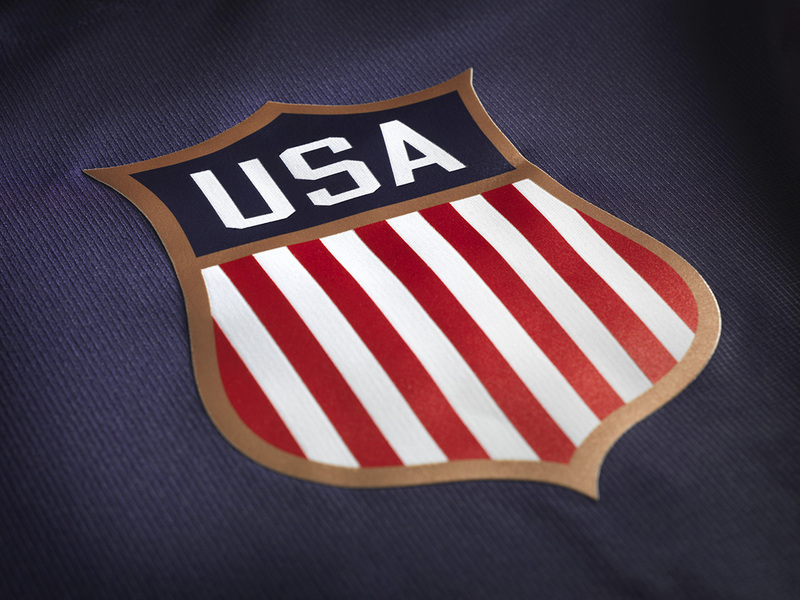 The U.S. will have to play focused hockey in the quarterfinal. Even thought the Czechs and Slovakians have been below average at this tournament, everything starts over in the medal round and any previous result is irrelevant. Check back later for more preview coverage of the quarterfinal. Undoubtedly, there will be another shoot-out situation arise in this tourney. As a St.Louis native and long time Blues fan, i was not surprised to see what Oshie pulled off in the game against Russia. However, I’m not sure that Bylsma should totally count on Oshie to do that again in the medal rounds. I think that you would have to alternate someone else in the shoot out equation. Asking a guy to do that again, with all of the publicity that went with Oshie vs Russia, would be pushing it. I would like to see Kane thrown in that mix somehow, even though he is not the shoot out machine that he has been in earlier years, he is still a magician with the puck.